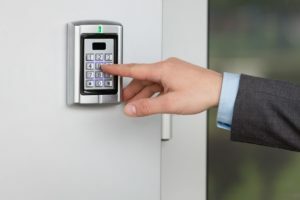 Coast Safe & Lock Installs Traditional Locks, Card Keys, Keypads, Bio-Metric Access, Security Cameras, and more. 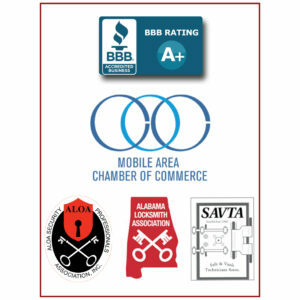 Established in 1972, Coast Safe & Lock delivers security solutions to business, industry, and banks throughout South Alabama, the Florida Panhandle, and Mississippi Gulf Coast. Owner, Dennis McLeod, grew up learning the business from his father. In addition to learning the technology and day-to-day business operations, he learned that customer service will make a business; and lack-thereof, will break it. Forty-six years later, Coast Safe & Lock has become more than just the local locksmith, it is a staple in the Mobile community. Coast Safe & Lock delivers first-class customer service to clients within 100 miles of our location. Today, our veteran employees have over 100 years of combined experience, making Coast Safe & Lock uniquely equipped to handle all your business security needs. We are a local company managed by the owner to ensure customer satisfaction. After nearly 50 years in business, our reputation speaks for itself and is instrumental to our continued success. Contact us today to learn how Coast Safe & Lock can meet your business security needs.